Q. Were you feeling at all unwell or unfit today? RAFAEL NADAL: No. I am feeling okay. Just was not my day. I didn't play with the right intensity, with the right rhythm, and the opponent played better than me. In sport, when you are going to play against an opponent, was a day that the opponent played better than me. Q. Do you think it's also the fact that you haven't played such a player for a while, the whole process of coming back? 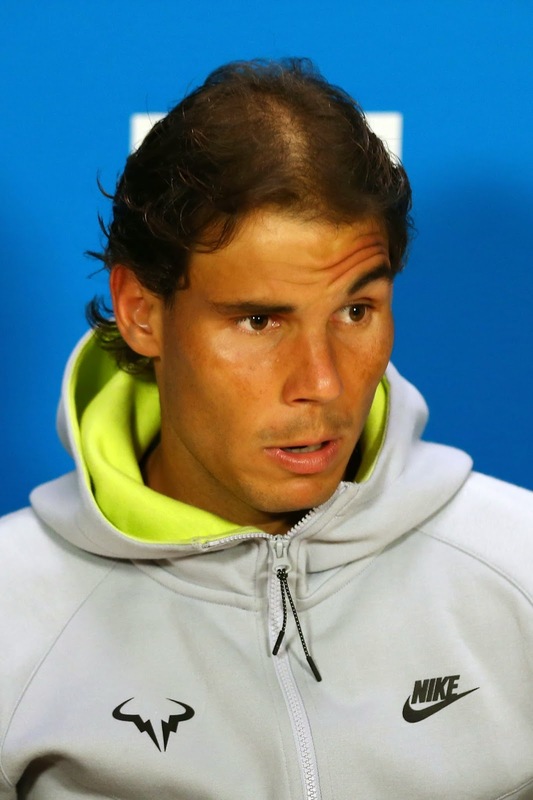 RAFAEL NADAL: Well, is probably not the day to talk about that. We talked enough about that before the tournament and almost every day, so is a day that I just can congratulate my opponent, accept that. Is obvious that I needed something more to be more competitive, as I did in the third. The third was the right set, the right game that I have to play. But is obvious that before I didn't play with the right confidence, with the right intensity, losing court, playing very short. I make him play very easy. So you cannot expect to win matches in quarterfinals of Grand Slam helping the opponent to play well. That's what I did. The first two sets, the beginning -- since the beginning of the third, I played with more character, more the way that I have to play to have chances to keep being -- to be where I want to be, to be where I have been for the last lot of years. I don't know how many. So that's it. Just will keep working hard on the things that I have to do. As I said when I arrived here, the process always is not easy. When you have injuries, are difficult the comebacks. There are so many examples around the world of sport that have been tough to be back. For me, I'm not an exception on that, no? I have to take the positive things. Without being at my top level of tennis I was able to be here in quarterfinals. Is not a bad result at all for me arriving here the way I arrived: only with one match, only with five matches in seven months. So taking the positive part, that's the thing that I have to take. That's just the beginning of the season, and I want to keep having chances to compete well against everybody. I need to keep working the way that I am doing for be ready for the next. The season is long, I know. Beginnings are tough. I need to be ready to accept all the situations that's going to happen or happened and try to be strong, accepting everything, and working hard to be back the way that I want to be. When I say 'be back,' I don't mean win or lose, I mean have the feeling on court that when you are there you feel confident, you feel you can compete against everybody with equal conditions. Q. The TV showed you taking a pill at some stage early in the third. RAFAEL NADAL: Yeah, happened nothing. I am feeling well. That's it. That's part of the things that happen sometimes during the matches, but nothing important to say. Q. Was there anything particularly about Tomas' game today that you found difficult to deal with? 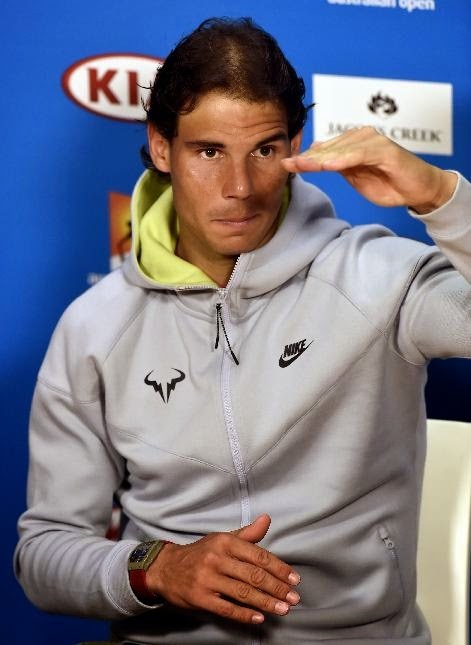 RAFAEL NADAL: No, it's always that he serve very well. He played aggressive. But I say before, no, in the third, yes, I was able to maintain the rhythm of the ball, to try to put one more ball inside. If I'm able to do that for two hours and a half, three hours, then he can feel the pressure, he can feel more tired when he's going for the shots. But the real thing, I tested him for one hour, for a set. For the rest of the thing I didn't test him in general. As I said before, Tomas is ranked No. 5, No. 6 of the word, No. 7, I don't know. He's a top player. We cannot expect the things that -- all the challenges that he put me on court today because he's a top player. You have to play well to win against a player like Tomas. I didn't play my best today. He played better than me and that's it. That's the sport. Sometimes, almost every time, is simple: the player who plays better, the player who is able to maintain the better rhythm, the better concentration, play with less mistakes, is the player who has more success. And today this player has been Tomas. RAFAEL NADAL: I'm sorry. Can you repeat the beginning? Q. You have been very up and down. You've had a very good match and you've had a so-so match today. 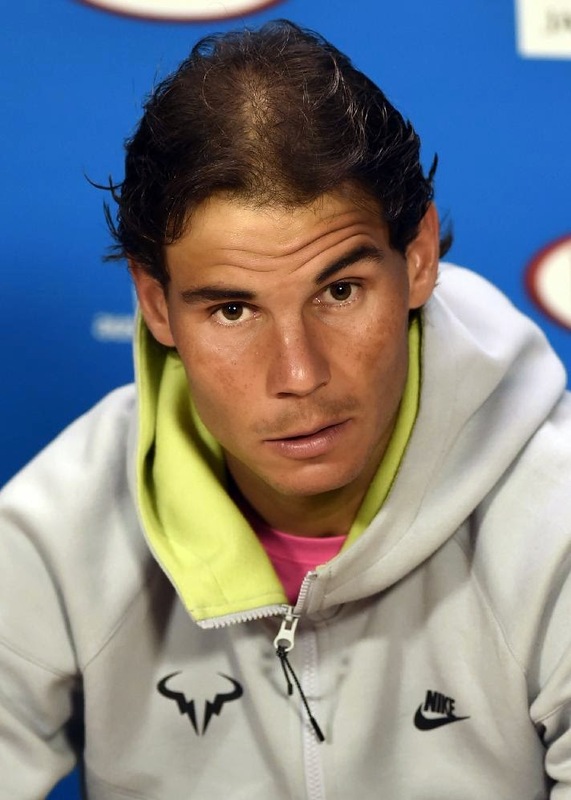 RAFAEL NADAL: No, not so-so, very bad. You can say, no problem (smiling). Q. How hard is it to go on court not knowing what to expect from yourself each match? 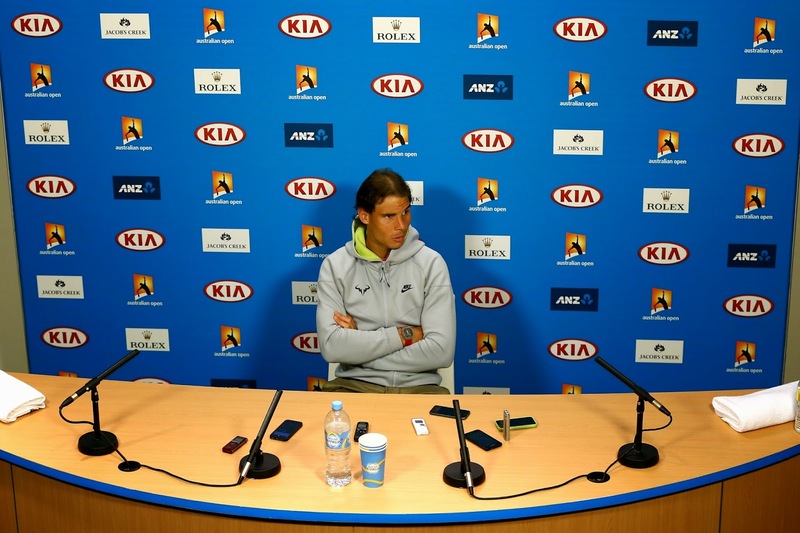 RAFAEL NADAL: Nothing new in my side. Is not the first time in my career I have been injury. Is not the first time that I have bad feelings when I am coming back. Is normal and is part of the process. Is part of the process that when I am playing bad, I cannot play that bad. When I am playing well, I have to be able to maintain that level of tennis. When you are coming back from an injuries you lose more easier the feeling than what you do when you are on rhythm, when you are with no injuries, when you are confident in yourself that you played a lot of matches. And that's the thing that happened, no? When I was playing well, I played well. But at the same time, against Sela I played two well two sets, played bad the third. Against Anderson, was probably the only match I played regular. Played the right level during almost all the time. The rest of the matches have been lot of up and down. Against players, top players like the one that I played today, you need to be more -- you cannot be here and here. When you are playing a five-set matches, you're not going to be during the five sets here. But when you are playing bad, you cannot come here. You have to be here. You cannot make that big difference of level during the match. That's the things that can happen when you are coming back from an injury, when you are out of rhythm.